So who is this J.J. Barea character? Well he has a NBA title ring, he is dating former miss universe, Zuleyka Rivera (see Below) and he is a guard....go figure. As if the Wolves didn't have enough guards. Yes, Barea is only averaging 6.9 points per game over his 5 year NBA career, but what he will bring to the Wolves is more than a low point total. Leadership, hustle, and toughness are the attributes that come to mind when describing this 175 lb guard. All of these attributes, the Wolves are in dyer need of. Do I think the Wolves have other issues they need to fill first before acquiring another guard??? Yes.. Do I think any of it really matters with Kahn making the decisions??? No... Kahn has proved over and over again that first and for most, trading, signing, and releasing players is more of a game to him than a job. With Rubio coming into his first NBA season, and Ridinour waiting on the bench, along with Ellington, and rookie Malcolm Lee, I'm not exactly sure where Barea will fit in but what allows me to sleep at night, is the fact that Rick Adelman is coaching this team and he will find a spot for Barea to shine. What do you think? 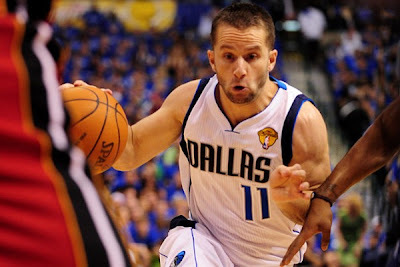 Will Barea be a Fo Sho addition to the Wolves, or a No Sho?